Using a relatively new technology called CRISPR, scientists in China have managed to make multiple, precise genetic changes to the fertilized eggs of monkeys. Two of these fertilized eggs developed into twins that carried genetic changes in the right place with no evidence of changes elsewhere in their DNA -- and there are more genetically altered monkeys waiting to be born. We are now entering an era where we can cleanly and predictably change the DNA of primates. In the near term, monkeys like these will help scientists find treatments for human diseases more quickly. Right now scientists tend to use rats and mice as model systems and what often works well in these animals does not translate to people. This shouldn't be the case for monkeys. They are so closely related to us that any medicines that work on them have a pretty good shot of working on us too. It is the long term where things get interesting. If scientists can make these sorts of genetic changes in monkeys, it is only a matter of time before we can do it in people too. In fact, it is close enough that scientists are already working on this sort of thing in a startup in Boston called Editas medicine. Soon scientists will be able to make one or even multiple genetic changes in a human fertilized egg and change his or her basic blueprint. And with a bit more tinkering, maybe they can make changes in many cells at once so they can treat adults too. Now as usual we shouldn’t get ahead of ourselves here. This technology won’t be ready soon but these experiments are the kind of breakthrough that makes what was once science fiction into something that will almost certainly be possible in the not-too-distant future. We need to start thinking about what this will mean and how best to deal with it. We don’t want to be caught flatfooted like we were with NSA spying where we did things with technology because we could -- not because we should have. For now, there is little risk of this happening in people at least in a sanctioned lab. Rightly or wrongly, society does not appear to be ready to make changes in DNA that can be passed on to the next generation. This becomes obvious in the recent outcry over a relatively simple procedure that won’t actually change a child’s DNA but instead will swap a bit of the donor’s DNA for mom’s. Even though this procedure would allow a mother to have a child that is mostly her own, it remains controversial. Actually, changing DNA like in the experiments here is more radical and therefore would be way more controversial. Still, attitudes do change. 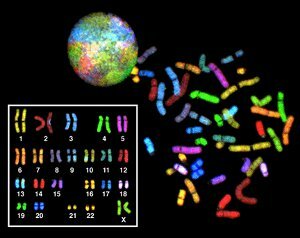 At some point we may be ready to take the plunge and start tinkering with human DNA in ways that can release these changes into the human gene pool. And because we don’t have a good handle on our genes just yet, we need to be very careful. Assuming we one day get past the fear of introducing manmade changes into the collective human genome, there are some pretty obvious targets to go after. If someone has a genetic difference that causes a disease like sickle cell anemia, it makes sense to fix it. And if it can be done safely, to do so in a way that decreases the chances that the cured person will pass it on to the next generation. But not everything is as cut-and-dried. “This gene comes in two different versions (or alleles)-short (S) and long (L). People with only short versions are at a much higher risk for becoming clinically depressed. This article dealt with screening embryos for the “right” combination of genes but it also works for genetic engineering. And this is just one example. There are undoubtedly many others that fall into this same category. There is no doubt about it; we definitely need to be careful in deciding whether to make these sorts of changes and if we do, make sure we are making the right ones. These are real people and any mistakes can have profound consequences. We can’t afford to get this wrong. Keep in mind again though that this is a future problem. Maybe not as far in the future as we thought, but no one is doing this just yet. The monkey experiments did not go off without a hitch and there is still a lot of work to do. For example, these monkeys were just born. We don't know if they will have any problems as they grow and develop. 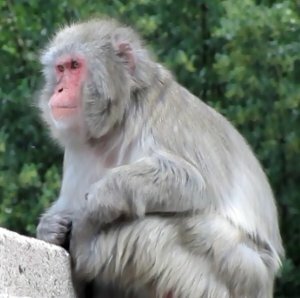 The scientists in this study wanted to introduce DNA changes into three separate genes in the monkey genome all at once. They first tested this out in monkey cell lines in a petri dish. They obtained a success rate of 10-25% for each individually. This was encouraging enough to try on monkey embryos. 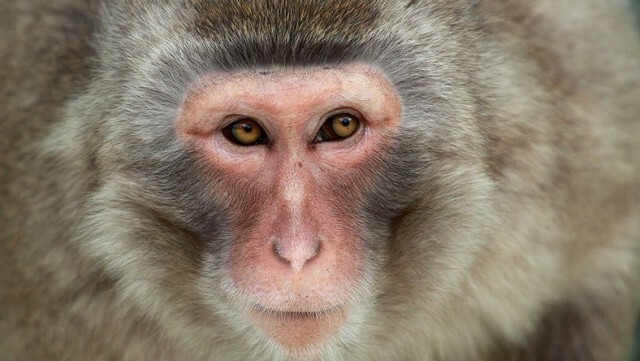 They next collected 198 macaque eggs and injected sperm into 186 of them by intracytoplasmic sperm injection (ICSI). They then injected various RNAs needed by the CRISPR system to make the specific DNA changes they were interested in. Next they put 83 of these fertilized eggs into 29 surrogates resulting in nine successful pregnancies. The study is based on one set of twins. When they looked at the DNA of these twins, they saw that two of their three targeted genes had been changed. The third change did not happen in these particular embryos. A concern with any genetic change like this is its preciseness. Ideally scientists want only the genetic changes they are introducing and no “off-target” mutations. When they looked at 84 sites that were the most likely to be off site targets of this technology, they saw no genetic changes. This is not the same as looking at all of the DNA of these monkeys but it is very powerful nonetheless. These numbers and success rates are important in showing both the limitations of the technology and this study. Not only is going from 198 eggs to 18 births a fairly high rate of failure, but the scientists also didn’t get all three changes (at least in the two monkeys they have checked). In addition, they only looked at a small part of the monkey’s DNA to determine how precisely these monkeys’ DNA was altered. Even though it will be harder to interpret, it will probably be important at some point to look at all of the altered animals’ DNA. Still, this is a huge deal. This kind of success would have been unthinkable only a couple of years ago in “simple” systems like mice, let alone complex ones like monkeys. And if they just wanted to make a single change, this seems pretty easy to pull off. They could even check to see if the change is there before implanting the embryo using preimplantation genetic diagnosis (PGD) to confirm the presence of the DNA change. So we are definitely getting closer to the Holy Grail of easy genetic engineering. Hopefully, we will look before we leap so we don’t find ourselves in a GATTACA world. Added note: As shown in this just published study, CRISPR isn't the only way to get this done.